Concerning NASA`s current summary plan of human spaceflights in the International Space Station program, the issues related to transport and cargo supply support of the station are critical for us, since Roscosmos today puts significant efforts into maintaining human habitation in the space station, including crew rotation, rescue, payload delivery, under NASA`s orders as well. We are endorsing NASA endeavors to accelerate development of the Orion crew transport system and the Ares-1 launch vehicle. Successful accomplishment of the ISS Commercial Orbital Transportation Services (COTS) program provides the opportunity to streamline station transport and cargo supply support, and to make it more stable and systematic. NASA human spaceflight program looks balanced enough and directed towards future perspective. ISS crew extended to 6 members after Soyuz TMA launch and docking in May 2009. I believe that the cumulated experience of Roscosmos/NASA cooperation provides the opportunity to go to the next stage of station utilization- full-scale realization of the national scientific programs and ISS usage as an international space laboratory. Completion of the USOS ISS deployment, as well as accomplishment of Roscosmos` objectives on completion of the ISS RS in the nearest future, will allow enhancing ISS scientific potential significantly. By 2015, the station will be able to provide unique capabilities for space experimental research, technological science, humanitarian, educational and commercial projects. Taking this fact and the recommendations given during the meeting of the Heads of the Agencies in June 2008 into account, we consider it reasonable to prolong station life until 2020 at least. Prospective of the Russian human space flight activities is defined in the Russian Federal Space Program, 2006-2015, Â«Evolution concept of Russian human space flight activities up to 2020Â» and a set of other documents approved by the Russian Government. exploration and research of the Moon, Mars and distant space in order to solve global issues on the Earth and in space and to generate new knowledge of the mankind. develop elements, technologies and key systems of the advanced interplanetary space systems for the missions to the Moon, Mars, new facilities and methods of biomedical support for long-term human space mission, etc. The experience accumulated by Russia, the USA and Europe in development and log-term operations of the manned space systems, including ISS, today provides the opportunity to proceed to more grandiose and significant projects, in particular, development of the transport systems for expedition to the Moon and Mars. Roscosmos supports the idea about involving technical and scientific potential of the other states in such large-scale projects. Russia would accept the project with equal involvement of the parties, which implies partner`s share of results, as well as Russian involvement in development of critical elements (launch vehicles, propulsion system, technology and experience in support of the long-term space crew missions). Regarding this, it would be reasonable to establish an international expert group for overall analysis of the integration capabilities in space exploration. ISS lessons are obvious â€“ it is necessary to provide redundancy for the project`s critical elements, such as LVs, transport and supply vehicles, MCC. Redundancy of some functions, like habitation, power supply, and, partially, utilization payloads and systems, shall be provided during ops phase. ISS could become a unique validation test facility for advanced technologies. Impartially, this process has already begun, and it will gain strength gradually in parallel with growth of our experience and capabilities of autonomous stay in the station. ISS lessons show that educational and promotional activities are of high importance in its operations and utilization. This is very important for attracting young people to the space industry. Existing international station control structure proved its justifiability in the framework of the ISS program. It is reasonable to use this heritage in other substantial international projects. We suppose that the USA as the main coordinator of the project will facilitate enhancement of stability and balanced development in the ISS program, including transport and engineering support of the station, creation of the necessary environment for the ISS crew, improvement of the station control structure, etc. 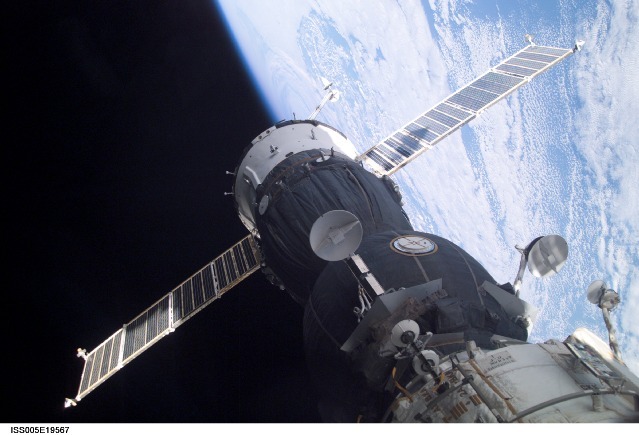 Roscosmos plans to develop and provide commissioning of the first elements in the orbital integration and experimental piloted station by the end of ISS active lifetime. This station is to provide a validation basis for crew transport systems intended for mission to Mars after 2030. It is obvious that development of this complex is not possible without preliminary verification of its elements in space, validation of the applied solutions and technologies. ISS habitation shows that utilization of the station provides the opportunity to solve unique tasks regarding lifetime prolongation of the station elements, as well as autonomous automatic space systems (space telescopes, etc.). This is an additional supporting argument in favour of prolonging ISS life up to 2020 and beyond. This is why I tend to think more highly of the Russian space program than the American one. The things they’re pursuing now (assuming, of course, that funding for this proposed station actually materializes) have a direct implication on future plans. NASA, on the other hand, is focusing on establishing a moon base. Where’s that going to go? Do they have plans for constructing rockets to go to Mars from the lunar regolith? It seems prohibitevely expensive to set up such an infrastructure on the moon as opposed to using Earth as a base. In about 10 years we’ll see how all of this plays out. I think that US space program is considering partnership at many levels. It is fast becoming not so much a question for the style of a national program but for an international one. Both the Russian/EU plans for 2025 LEO shipyard and the construction of a permanent lunar base are being viewed as entry points for multiple agency partnership. Despite the ambitious prospect of moon based rockets, there are advantages, the lack of gravity, availability of natural fuels and so on. Still as with the shuttle I do not really understand the ephemeral nature of ISS, again a valuable space facility that has been given a dated shelf life, rather than being the better qualifications for an extended upgrade management.